National Bank Canada is waiving the first year annual fee on their NBC World MasterCard. This offer is available on new applications until July 12th. Find out more here. United lowers Star Alliance Award ticket prices for travel within Japan. Some routes see a 50% reduction. Find out more here. 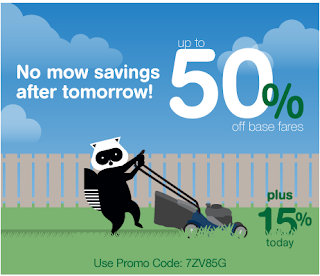 Porter Airlines is offering up to 50% off base fares plus an extra 15% on top for summer travel if you book by June 12th! Find out more here.